Africa is a rich continent. 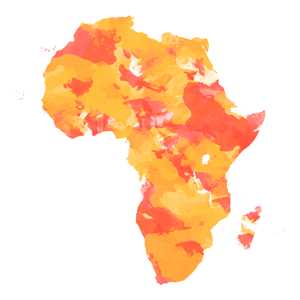 In 2010, the value of natural resources extracted on the African continent was $788 per capita. In comparison, development aid only contributed $30 to the income of the average African. At the same time, the median income of an African is only $945, suggesting that a large part of the continent’s resource wealth isn’t benefiting the majority of the population. A good example is Equatorial Guinea, a country that has a GDP of $17.7 billion at a population of just 760,000 people, almost exclusively fuelled by oil windfalls. Despite this, 77 percent of the population lives below the national poverty line. In fact, Africa is estimated to lose between 40 and 80 billion dollars per year to illicit financial flows, e.g. tax evasion, alone. Much of this money probably originates in the resource sector. For resource rich African countries, answering the question of how to profit more from their natural resources is probably the political challenge with the highest stakes of our time. Read the rest on Contributoria! Ivory Coast dominates the market for cocoa beans with a world market share of over 30 percent. But the trees and farmers producing the beans are ageing and the crop is seen as unprofitable by young Ivorians. Alternatives like rubber or palm oil vie with cocoa for the precious fertile land and are in many ways advantageous for farmers. Industry and government initiatives to shore up cocoa production will probably take decades to show their full effects. One way or the other, the Ivorian cocoa sector will undergo a tremendous transformation in the coming years, with dramatic consequences for international business, the Ivorian government and farming communities. The production of shale gas by fracking involves a number of environmental risks, and these continue to be of concern to communities near proposed well sites and groups involved with environmental protection. Four key issues have been identified that governments need to take into account in their decision making and regulations for the sector. With all of the countries assessed in the report being largely arid (South Africa’s largest shale gas potential is in the Karoo desert) and already confronted with water crises, this is a major issue. The AfDB advises prospective producers to use available regulatory tools to minimize environmental risks. Environmental organisations argue that until now the potential environmental harm that shale gas exploitation could cause is not understood very well and that countries should refrain from tapping their reserves of this unconventional resource because of this. But with the report attesting several African countries potential reserves on “game-changer” scale, appetites will likely overcome caution. What is your take on the report? What weights greater – environmental concerns or potential profits?